This is the first novel in Cleeves’ Shetland series, the books behind the successful TV series of the same name. She captures the atmosphere of the island beautifully – the mixture of that feeling of claustrophobia where everyone knows everyone else’s secrets and the isolation of the small villages outside the main harbour town. 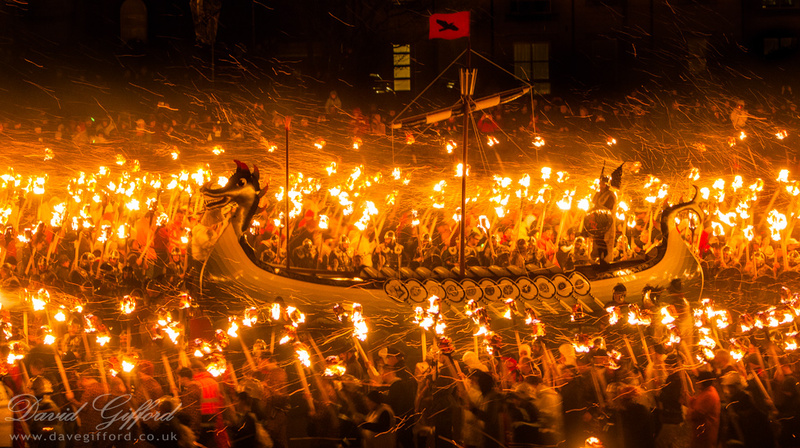 She also shows how old traditions remain side by side with the increasing modernisation of life, as the islanders prepare for the big annual festival of Up Helly Aa; perhaps not as ancient a festival as some like to believe, but one that has become a part of life and a major tourist attraction over the years. The plotting is excellent, as Perez tries to work out whether the two cases are linked or separate. Being in the third person past tense, the reader is allowed to see the story develop from a variety of perspectives, including Perez himself as he investigates, Magnus Tait as he waits knowing that the finger of suspicion will be pointed in his direction, and Sally, daughter of a teacher at the local school and Catherine’s best friend. This lets us see events from different angles, gradually giving a rounder picture of the victim and the various suspects. Magnus is very well done – he is a man with what we’d probably call learning difficulties, able to function but well aware that he lacks social skills. Cleeves does a great job of making the reader find him both creepy and rather sad at the same time. Through Sally’s eyes we see the life of youngsters on the island, socially and at school. She and Catherine were drawn together mainly by being treated as outsiders – Catherine because she has newly arrived on the island, and Sally because she’s the daughter of a rather unpopular teacher. Perez’ character is only revealed to certain extent in this opening novel, leaving plenty of room for development in later instalments. He’s from Fair Isle, an even smaller, more remote community, and is under pressure from his parents to return there. The break-up of his marriage has left him unsure of what he wants in life, but he’s no angst-ridden maverick. He’s a thoughtful, fair officer who tries hard not to be swayed by popular opinion but instead to look to the facts of the case. In this one, he finds himself becoming attracted to a young woman, Fran, another incomer, who found Catherine’s body, and this budding relationship allows us to see his human, off-duty side. There are plenty of other characters – parents, other pupils, boyfriends and so on – to provide a wide pool of suspects and witnesses, and these are all drawn equally believably although with a little less depth. Late on, I had an inkling about how one aspect of the story was going to play out, but I didn’t get close to the main solution. When it came though, I found it both credible and satisfying. Overall, I thought this was an excellent start to the series and am keen to read more. I’m also happy to have finally broken my duck with this well-known and much loved author, and am now equally eager to read her Vera Stanhope novels. If someone as successful as Ann Cleeves actually needs my recommendation, then she most certainly has it! I’m so glad you liked this as well as you did, FictionFan. I really thought Cleeves did an excellent job setting the atmosphere and context. And I agree with you about the characters. They’re nicely developed, but you can also see how Perez’ character has room to evolve as the series goes on. I liked it, too, that the solution to the story was believable – unsettling, in its way, but believable. I hope you’ll get the chance to try the rest of the Shetland novels. This sounds interesting. I will put it on hold at my library. Hopefully they will be able to get me aa copy. So glad to read your thoughts on Raven Black. I am now finishing the last of the Vera books that I hadn’t read – The Glass Room – was just published here and I’m listening to it on audio. I’m caught up with Vera and plan to turn to the Shetland books later this year. I’ve watched all of the Shetland TV seasons that are available to me in the US. Can’t wait to read the books. 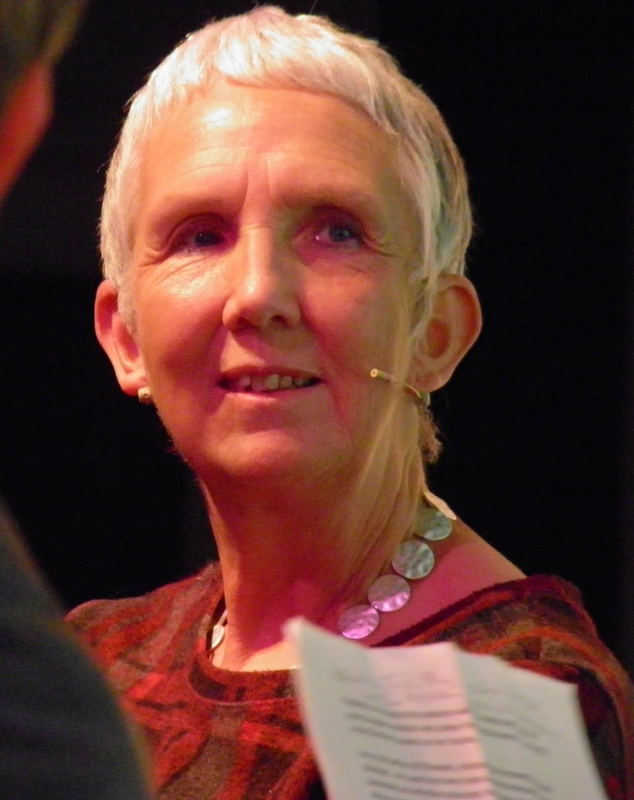 I love the writing of Ann Cleeves and she is a very cordial and friendly person in real life as well. And Brenda Blethyn – well, she shorter and blonder than her Vera self. Plus better dressed (not hard, huh? LOL). I really must get around to these……. So glad you enjoyed this. I love Ann Cleeves’ books and both the TV series. The characters develop a lot as the books go on, I’m waiting impatiently for the next releases. Fantastic review. It makes me so happy to see Ann Cleeves get good reviews. I had obviously heard of her before, but it was when I saw her in person at CrimeFest17 when I realised what a crime fiction heavyweight she is. I also realised to my embarrassment that I had never read any of her books. I’ve gotten a bit tired of domestic noir, so the Shetland series may be the answer to my crime fiction reading slump! Thank you! 😀 I’d certainly recommend trying these to get you out of a slump. I’ve had this one and the first book in the Vera Stanhope series on my Kindle for years, and don’t know why it’s taken so long for me to get round to them. It won’t be so long before I pick up another of hers, that’s for sure! I’m so glad you enjoyed this book. I like the books more than the TV series of both Perez and Vera – apart from actually seeing the locations that is – but then that’s just me. I went to one of Ann Cleeves talks (at Mainstreet Trading) and she isn’t as pernickety as me and said that once she has finished writing a book it passes out of her hands and each reader has their own individual interpretation. She cannot see what is in the minds of readers, but she can see the director’s interpretation in the TV versions of her books! Fiction Fan, I’m not happy. I thought I’d made it very clear when you mentioned you were reading this that I needed you to tell me it was awful, so that I wouldn’t get into a series and add yet more to the TBR. What am I going to do now?! Bury myself in Shetland crime, obviously 😀 Seriously, this sounds excellent. I really enjoy the TV series and now I’m excited to read these too – off to the library I go! I’m enjoying this series, too. This was certainly an excellent start, but now I’ve got some serious catching up to do! The Vera Stanhope series is good, too. I don’t know if you’ve read it. I am reading both of them together. I think I’ve read three of each by now. I’m always leery about books that look at people with mental disabilities as dangerous, unless the book is set when that mode of thinking was the norm and tries to say something humanizing about the demonized person. I don’t think this book was demonizing the character and I get equally tired of books that are so politically correct they limit their possible criminals to white “normal” men only – the villains of our time! oh this series definitely sounds promising! Question, what does ‘broken my duck’ mean? Haha – *note to self* Remember half the world doesn’t get cricketing metaphors! 🤣 And all so useful! Ooh, a five-star review!! This one sounds delightful, FF — drat it all. My TBR can ill afford to beef up, but this one sounds worthy of inclusion.